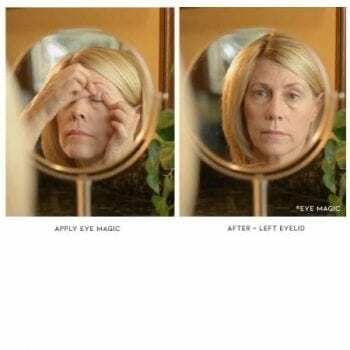 Eye Magic is a temporary solution for drooping upper eyelids. 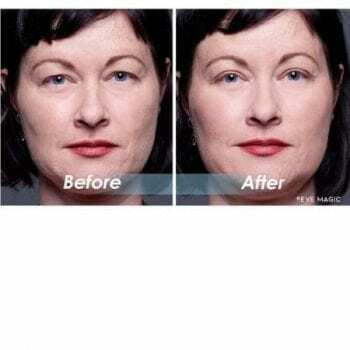 The eyelid droop makes your eyes look old and tired. 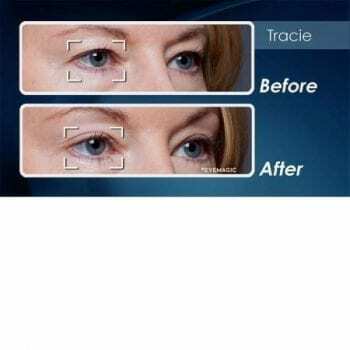 Eyelid surgery is expensive and comes with a long recovery period. 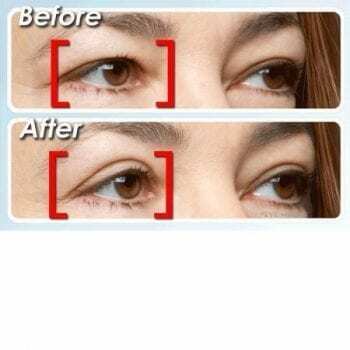 Our eye lift strips act like a new layer of skin, lifting the upper eyelid for a more youthful look. 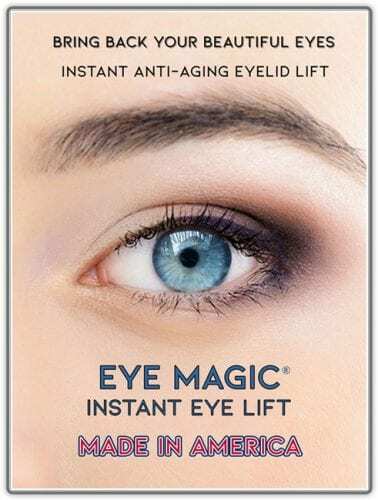 With some patience and by carefully following the included instructions, this product is very effective for most western and some asian eye types. Because everyone’s eyes are different, we provide a 30 day satisfaction guarantee. We invented our Eye Lift products with the essential understanding that the eyelid skin is the most sensitive skin on the body. 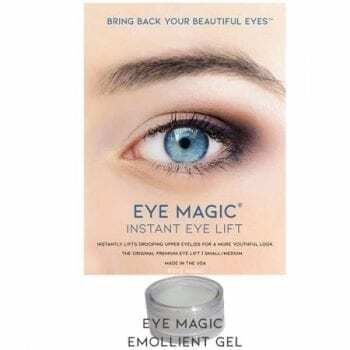 To avoid excessive pulling on the eyelid skin and after much experimentation, we developed our Eye Magic Gel (optional). The gel provides temporary lubrication to the eye lift adhesive and dries quickly, allowing the user a few minutes to remove and readjust the strips without pain or pulling on the eyelid skin so you can achieve the optimal eye lift. We recommend first time users apply our Eye Magic Gel lubricant, to the adhesive side of the strips, prior to applying. 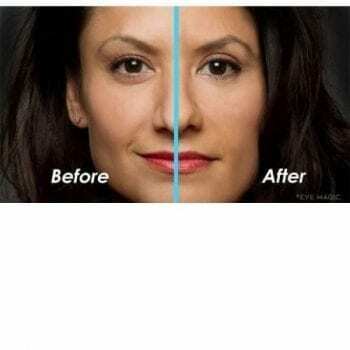 Most customers apply our eye lifts with their daily makeup routine and remove the strips before bed. Beware of cheap, potentially unsafe knockoffs. Our products are proudly Made in America and lab tested for your safety. Contains: medical film, medical acrylic adhesive, Instructions.